This floor lamp features the functionality of a swing arm lighting. The size is adjustable from 14 to 21 inches. This floor lamp is finished in aged bronze and features a white shade. 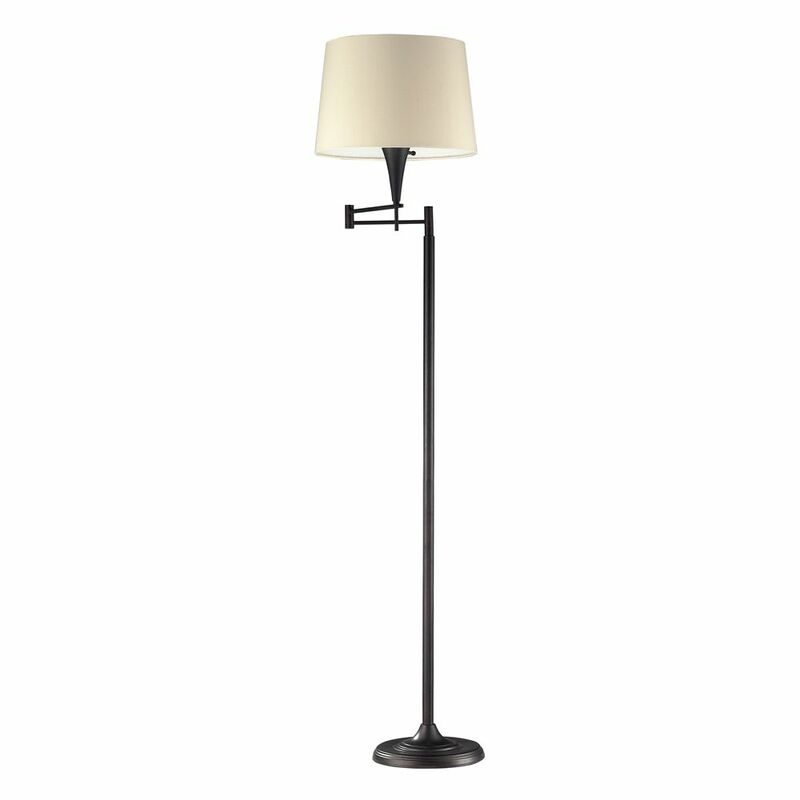 Elevate the lighting in your home with this modern and stylish 58 inch swing arm floor lamp. Featuring dark bronze finish and antique brass accents, this lovely lamp is sure to add some fashionable flair to any room. The clean lines and bold colour are the perfect accent to any bedroom, living room, office or side table. Updating the lighting fixtures in your home is the most effective way to accomplish a striking, yet simple, Do It Yourself (DIY) remodel. The Timon single floor task lamp features an on/off touch dimmer and one 5W LED bulb for a functional modern look. A distinct task lamp in a plated Brush steel finish, it features a full range touch memory dimming making this LED Desk Lamp a valued addition to your workspace or reading area. Optimize positioning with its adjustable head. LED lamps use less energy than traditional incandescent lamps, saving you money. They eliminate the need for bulb replacement and the frustration of finding the right bulb. 1- Light Lamp Aged Bronze Floor Lamp This floor lamp features the functionality of a swing arm lighting. The size is adjustable from 14 to 21 inches. This floor lamp is finished in aged bronze and features a white shade.